Chair of the Great Eastern Main Line Taskforce and Witham MP, Priti Patel, met with Network Rail bosses this week to discuss performance on the Great Eastern Main Line (GEML) and reaffirm the operator’s commitment to infrastructure investment in the East Anglia region. 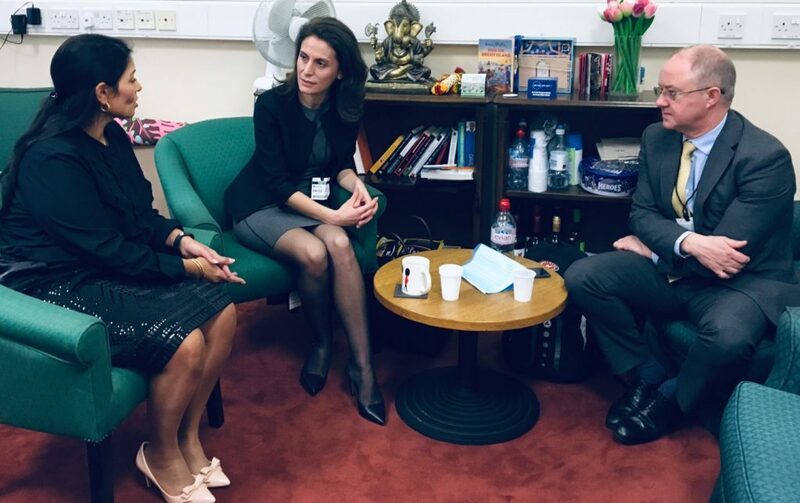 Priti met with Network Rail’s Chief Executive, Andrew Haines, and Route Managing Director for Anglia, Meliha Duymaz. They discussed the current level of performance on the GEML and Network Rail’s plan to improve performance in the short term. They also discussed longer term ambitions for investment on the mainline, including Network Rail’s plans to invest £2.2 billion in the Anglia region up to 2024, and Network Rail’s on-going support for the aims and objectives of the GEML Taskforce. The Taskforce is currently preparing the case for long term investment on the GEML to deliver high quality infrastructure upgrades and enhancements to improve passenger experience and support economic growth in East Anglia. The Taskforce will submit its case to the Department for Transport later this year to secure funding through the Department’s Rail Network Enhancements Pipeline Process. “Passengers on the GEML have experienced a declining level of performance on the GEML in recent months and I had a constructive discussion with Andrew Haines and Meliha Duymaz about this and the solutions that will be put in place to reverse this decline in the short term. “I was impressed with Network Rail’s willingness to engage when things go wrong and their commitment to investing in the GEML to reduce the frequency of infrastructure failures and improve passenger services.